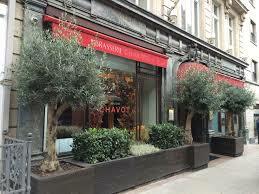 Chef Eric Chavot opened the doors to Brasserie Chavot on Conduit Street in Mayfair in March 2013, receiving critical acclaim from respected food writers and devoted diners alike. Described by Giles Coren as ‘the best thing to happen to top-end dining for ages’, Brasserie Chavot’s French-inspired menu is created using the finest produce from the British Isles and France, ranging from the much-celebrated ‘deep fried soft shell crab’ to the highly popular ‘Snails Bourguignon, meatball and potato espuma’ and the delectable ‘Rump of Oisin venison with honey glazed root vegetables’. 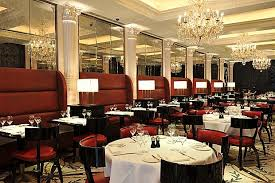 Brasserie Chavot’s decadent Mayfair premises boasts opulent chandeliers, grand deep-red banquettes, an intricate but understated mosaic floor and an attentive but discreet staff, striking the perfect balance between glamour, comfort and French sophistication – the perfect stage on which to present Eric’s culinary creations. 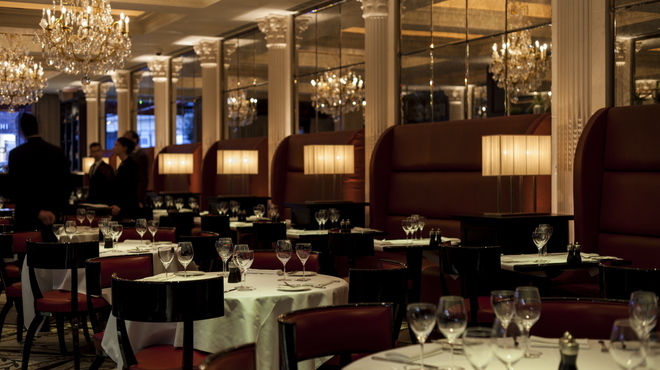 Eric’s early career encompasses a host of highly renowned chefs and their venerated restaurants. Recognised as one of Pierre Koffman’s acclaimed protégés, Chavot served as sous chef at London’s La Tante Claire, before working under Raymond Blanc at Le Manoir Aux Quat Saisons. 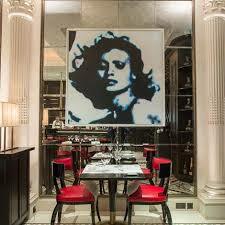 Eric then joined Marco Pierre-White at Harvey’s before returning to Pierre Koffman at La Tante Claire. This was followed by the head chef position at Nico at Ninety Park Lane, and then head chef at The Restaurant, Hyde Park Hotel, for Marco Pierre White. Eric’s first solo venture, Interlude de Chavot, opened in Charlotte Street, Soho, where he gained his first Michelin star within ten months. From there, Eric opened Chavot, in London’s Fulham Road, where he was chef/patron and held a Michelin star for two years. 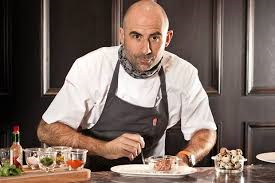 Eric then joined The Capital Restaurant in Knightsbridge as head chef, where he famously held two Michelin stars for an impressive ten years from 1999-2009. 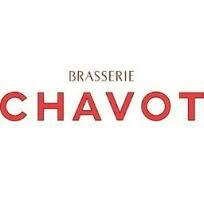 Prior to opening Brasserie Chavot, Eric spent two years in Florida as Consultant Chef to the Weston family, owners of Selfridges and The Windsor Club. 2014 will be an exciting time for music lovers in Istanbul, with a diverse group of entertainers coming to the city that includes classic rock, blues, and heavy metal icons, along with pop superstars, beloved singers/songwriters, oldies bands, and local favorites. Last year concert lineup was great. Here’s a sneak peek at some of the best Istanbul concerts of 2014. Not only is Istanbul a top concert city with all the biggest tours stopping here, we have an impressive array of quality venues that contribute to the overall concert experience. Thinking about a trip to Istanbul in 2014, but can’t decide when you should go? 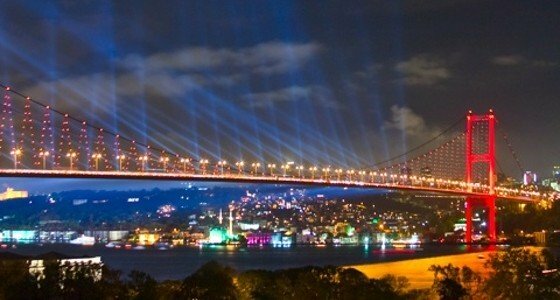 Why not plan your trip around one of these top events for Istanbul that will rock the city. Our list of the Top concerts coming to Istanbul in 2014 will be updated as many others famous stars are coming to Istanbul as part of their international tours. Book your seats now before they are sold out! Dima Bilan – February 28 Russian mega pop star Dima Bilan will be in Turkey first time on February 28, 2014 at TİM Show Center. Dima Bilan represented Russia at the Eurovision Song Contest 2006 with “Never Let You Go”. He has had several Russian number one hit records. Andrea Bocelli – February 22 Andrea Bocelli performs at Ülker Sports Arena on February 22, 2014. Andrea Angel Bocelli is an Italian tenor and singer-songwriter who was born with poor eyesight and he became blind at the age of twelve following a football accident. A-HA – Morten Harket – May 2, 2014 18:00 Legendary band of 80’s and 90’s A-HA’s front man Morten Harket is coming to Turkey in May. The voice of A-HA, the synthpop/rock band which released nine studio albums and topped the charts in several countries after their breakthrough album “Hunting High and Low” in 1985, will perform at KüçükÇiftlik Park on May 2nd. Aerosmith – May 14, 2014 18:00 Rock legend Aerosmith will be in Turkey for the first time on May 14, 2014 at ITU Stadium as part of their world tour. Manowar – May 24, 2014 15:00 The worldwide famous traditional and epic true heavy metal band Manowar will perform at KüçükÇiftlik Park on May 24, 2014 on Kings Of Metal MMXIV World tour. Justin Timberlake – May 26, 2014 18:00 Justin Timberlake will take his world tour to Istanbul’s ITU Stadium on May 26, 2014. The concert will mark Justin Timberlake’s first ever performance as a solo artist in Turkey. DJ David Guetta – June 27, 2014 18:00 French house music producer and DJ David Guetta performs at KüçükÇiftlik Park on June 27, 2014. Not all the 2014 concerts have been announced yet so bookmark this page, we’ll be updating it often. Leave a comment below if you have any additional information or in case we missed any event. Purobeach is increasing it’s global offer and ultimate lifestyle concept with an Urban Oasis located on the 6th Floor of the Conrad Hotel in the heart of Dubai’s commercial, business and entertainment district, 20 minutes from the Dubai International Airport. 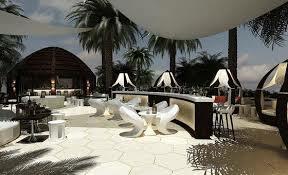 The new jewel of Dubai with lounge terrace, garden area, pool, bar and restaurant. 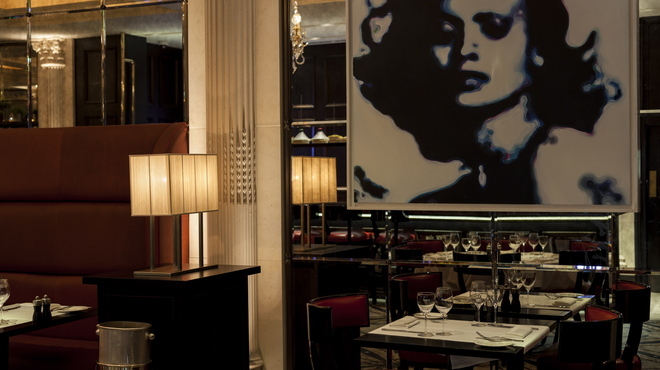 Discreet, modern elegance in a laid back atmosphere. All in one, a perfect location for spending all day and enjoying an evening in the best company and surroundings. 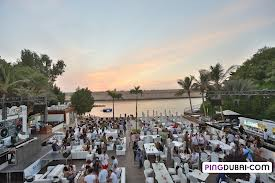 Purobeach Dubai is a unique location with more than 3000 square meters of lounge terrace offering food and drinks as well as privileged sun bed services. Daily DJ sessions will ease guests into a relaxed state of mind from early afternoon into the night.. Take a break relax and enjoy. Purobeach offers a complete food offer fresh salads, grilled fish and best cuts of meat not to mention it’s signature dishes. Showers, lockers and changing areas. The newest addition to Dubai’s exciting nightlife, the IRIS Restaurant & Lounge offers the ultimate rooftop experience. Located on the 27th floor of The Oberoi, Dubai, this open air restaurant offers breathtaking views with the backdrop of the Burj Khalifa and the city skyline. The live band and DJ make it one of the sought after spots to experience Dubai’s vibrant nightlife. Note: Iris Dubai is an independent establishment and its management reserves the right of admission. 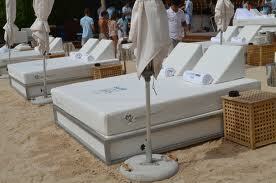 Blue Marlin Ibiza UAE is a stylish beach club that provides you the best comfort, service and entertainment. At the Blue Marlin Beach Club you can enjoy late breakfasts and lazy lunches on the beach, swim in the cool waters of the bay. 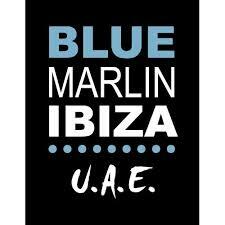 BLUE MARLIN IBIZA UAE has created a unique new concept of dining and relaxing in style. Experience and enjoy the extraordinary cuisine and service we have to offer, whilst overlooking the VIP Terrace and beach, enjoying the latest eclectic tunes played by our international dj’s and artists. With flavours brought to you from the shores of the Mediterranean, combined withJapanese hints of the orient, BMI UAE would like you to treat yourself and your guests with a visit to our restaurant, where you will be pampered and takencare for, to assure a fantastic day of food, relaxation, music and a lot offun. Emphasizing on fresh and healthy products, BLUE MARLINIBIZA’s Head Chef ensures the best ingredients from around the world, prepared with creativity and flair. With our rich variety of Sushi, signature disheslike the diced yellow fin Tuna Tartar served with Avocado, or the whole roasted SeaBass for two prepared at your table, each course is guaranteed to be a culinary adventure. When night falls and after a delicious dinner under the stars, it’s time to sharpen the ear and enjoy the latest music trends. The Address: Right off Sheikh Zayed road , Ghantoot Exit 399 in Golden Tulip Al Jazira Hotels and Resort, 25 minutes from Mall of the Emirates towards Abu Dhabi. For those that haven’t been to the Beaugrenelle Centre in a few years, a surprising transformation awaits with indie cinema and high-end shopping that turned this 70s concrete relic into one of the city’s top retail hubs. 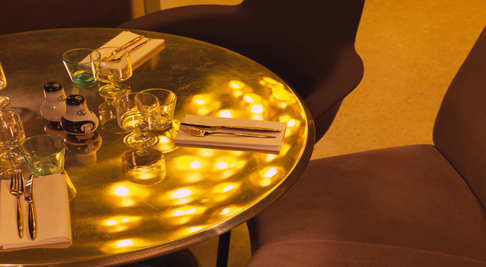 It’s also where designer Tom Dixon turns a street front dining space into a destination eatery with late-night lounge and fashion following. 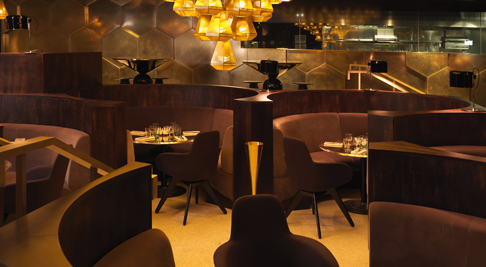 The space is surrounded in glass and features a main dining room with honeycomb bronze chandelier that illuminates exotic stone or shimmery gold tabletops and circular banquettes in creamy chocolate leathers. 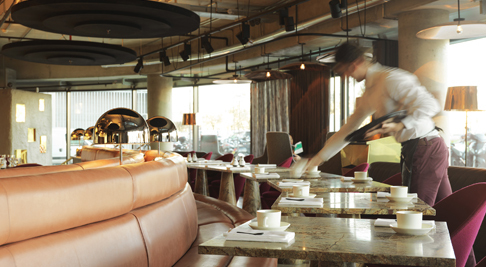 A partial open kitchen gives glimpses of the kitchen at work as staff struts in signature uniforms that complete the Tom Dixon visual. Open for lunch and dinner, a stylish bar offers an exotic menu of mixology cocktails with small bites menu available for those not actually dining. Appetizers begin with selection of cured meats and cheese platters with staples like foie gras, raw bar, carpaccio and tartares living up to the billing of continental brasserie. Main course is a more British affair of grilled fillet, deconstructed fish and chips and slow-cooked meats with sampling of vegetable side dishes. Una gradevole e inattesa sorpresa sul tetto di un palazzo storico. Due magnifiche piscine con vista a 360° sul panorama cittadino. Durante la giornata offrono uno spazio privato per il relax e per una fuga in un resort urbano. La sera sono la magnifica scenografia liquida che fa da cornice all’aperitivo o ai numerosi eventi ospitati presso Ceresio7. Sulla magnifica terrazza del palazzo storico dell’Enel, sede del gruppo Dsquared2, nasce il Ristorante Ceresio 7. Il progetto, assolutamente innovativo, ha visto gli stilisti Dean e Dan Caten coinvolti assieme allo studio di architettura Storage per lo sviluppo architettonico e in sinergia con lo studio di interior design Dimore Studio per la realizzazione del concept degli interni e dei complementi. La spaziosa sala interna, affacciata sul moderno skyline del nuovo centro direzionale e delle Varesine, è arricchita dalla presenza di due piscine e da una terrazza con vista che permette agli ospiti di gustare le creazioni dello Chef Elio Sironi en plein air circondati dal verde. La regia è affidata ai “padroni di casa” Edoardo Grassi, Luca Pardini e Marco Civitelli. Ceresio 7 è un luogo che vive tutta la giornata, dalla mattina con le piscine e il lunch sui tavolini in terrazza, fino alla prima serata con l’aperitivo e il dopo cena all’American Bar. Un ambiente elegante e caldo dove poter gustare una profonda e prestigiosa collezione di spirits e una grande selezione di drinks, sapientemente miscelati dai nostri Bartender secondo la migliore tradizione della “vecchia scuola” americana, con un twist e una identità decisamente italiani. Il bar dispone di due lounge interni, di cui una sala fumatori, e di tavoli e cabanas a bordo piscina. La guida della cucina è affidata allo Chef Elio Sironi e si fonda su basi ormai consolidate negli anni: semplicità, autenticità e rispetto del cliente. La qualità assoluta degli ingredienti e l’uso delle più tradizionali tecniche di cottura sono la base per questa cucina e il forno a legna così come la griglia a carbone vegetale sono il fondamentale sussidio per trasmettere i sapori netti e antichi. Is the person in charge of guest services that looks out for their wants and needs and tries to provide what makes their stay as pleasant as possible. Takes care of their reservations to hotels and restaurants, museums and tour guides. That person guides them to the latest shopping districts or malls and is ready to answer any questions the guest would have about the city. المفتاح الذهبي , هو الشخص المسؤول عن خدمة النزلاء في الفندق ويلبي جميع إحتياجاتهم ومتطلباتهم من حجوزات مطاعم وفنادق وأماكن سياحيه وإحتفالات ومعارض ويرشدهم عن الأسواق والمجمعات ويهتم في عملية مواصلاتهم بالمدينه , ويكون علي إستعداد لترتيب وتحضير وإجابة أي إستفسار , وأهم شيئ هو مصادر المعلومات والثقه في أقتراحاته الترفيهيه .